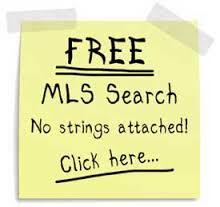 Calgary MLS Search your to use FREE ! After you have created your search you can SAVE and our system will automatically e-mail you new listings when they are listed. You will have to set up an account to receive the listings as we will need your E-Mail address to send you the Listings. If you would like the SOLD Prices for any area or home please Contact Glen via e-mail. The Internet holds rich troves of information into which buyers, sellers and lookers can dig deeply to find real-estate comps. All of the data that we display on our site is the complete Calgary MLS Search data from the Calgary Real Estate Board. We try to display the data in an format that is easier to use than the basic Calgary MLS search system data. You will notice that CREB does not display Sold historical data for comparison purposes, if you need sold information please ask. If you do not have the time to browse the data your self, Glen and his team can just give you a call or an e-mail when that perfect home comes on the market. If you would like us to help you find a great home please drop us a line!